After counting down the days until the much anticipated delivery of your Tesla Model S another timer begins – counting down 60 days from the time of delivery until the Tesla pre-paid service plan offer expires. 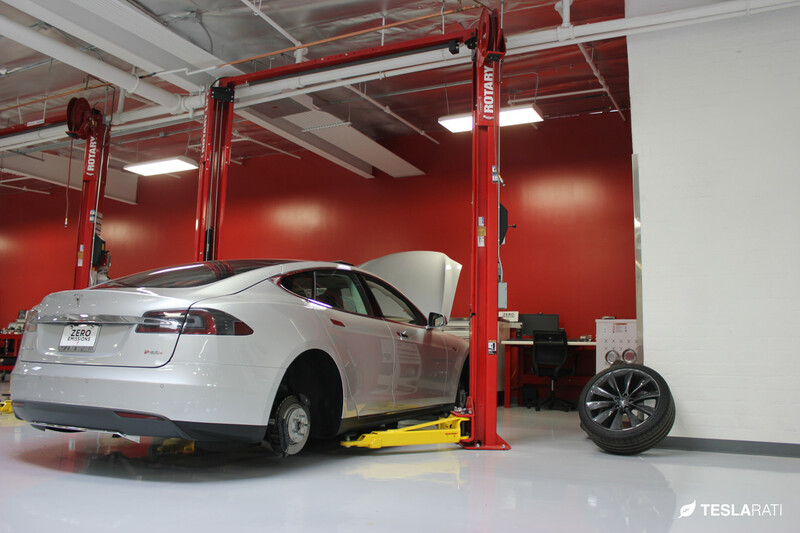 4 year plan – Tesla Service for four years/Up to 50,000 miles. Cost: $1,900. This represents a 21% effective discount from the base price. 4 year plan + 4 year extension – Tesla Service for eight years/up to 100,000 miles. Cost: $3,800. This too represents a 21% discount from the base price. Both plans plans include an annual inspection or an inspection every 12,500 miles. Despite having a service plan option, Tesla still makes a bold statement stating that warranty is not impacted even if you chose to never bring your Model in for service. Although you’re receiving a 21% discount by pre-paying, that doesn’t take into account the opportunity cost with shelling out the money in advance. Let’s first look at the basic 4 year pre-paid service plan and assume you can earn a relatively risk-free 5% gain on an investment. Pre-paying $1,900 is effectively $2,309 in future value 4 years from now. Paying $600 per year starting a year from now for 4 years adds up to $2,586 in future value. So, accounting for the time value of money, the pre-paid plan is about 11% less expensive given the assumptions above. Following the same model on an 8 year pre-paid service plan we get a much different picture. A $3,800 pre-pay has a $5,614 future value assuming a 5% annual rate of return. Forgoing the pre-pay option and paying $600 per year as-you-go, has a future value of $5,729 which means you’re only saving 2% with the pre-pay plan. Naturally these results will vary based on the rate of return of your investment and inflation rate at the time. In times of high inflation the pre-pay option is much more attractive. But if you can get a 10% return on your investment (buy TSLA stock!) the pre-pay option is less attractive. 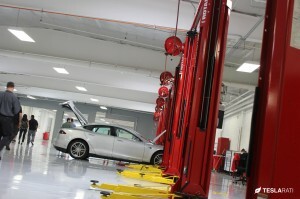 Tesla service plans are based on an annual mileage of 12,500 miles. At my current rate of driving, I’ll likely reach 32,000 miles within a year which means that my 4 year plan is more like a 2.5 year plan and the 8 year plan is more like a 5 year plan, assuming I need to pay a visit every 12.5k miles. The shorter plans reduces my opportunity cost thus increasing the value of the pre-pay service plan. For example, if I plan on driving 100K miles in my Model S and purchase the pre-paid service plan, I’m going to pre-pay $3,800 for the 100K miles worth of services which I must perform every 12,500 miles or so. If I pay as I go and pay $600 every 25,000 miles its going to cost me $2,400. Not even considering the time value of money, paying as you go is a clear winner for high mileage drivers. Waiting until 30 days before standard warranty expiration (4 years/50K miles) before deciding/buying extended warranty. The 4-year pre-paid service plan, for Model S owners that have annual mileages at or under the 12,500 miles per year, works out to be an approximate 10% savings. So,what course of action did I take when selecting a Tesla pre-pay service plan, knowing that I will nearly triple the assumed 12,500 annual mileage? The answer, thanks to Tesla service’s recommendation, is nothing. I did nothing. Should Tesla move away from its battery technology?